Planning a trip to Pisa? Well get ready to discover that this beautiful town is not just about the Leaning Tower and its ‘Miracle Square’, Piazza dei Miracoli. There are many other marvels to discover walking around the city. Actually let’s start with the exploration of Piazza dei Miracoli which can easily occupy several hours, not for nothing it is considered one of the finest architectural complexes of the world. 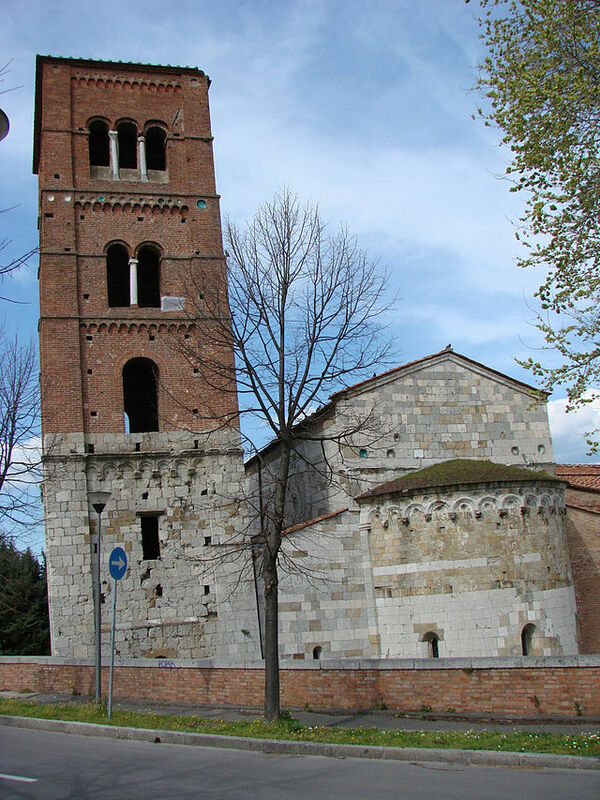 The effort to climb up the stairs of the tower itself is rewarded by the view, from which you’ll see other two leaning towers: the bell towers of San Nicola and San Michele degli Scalzi. The magnificent Romanesque cathedral dominates the centre of the square with its grey marble and white stone façade. On the other side the round Baptistery overwhelms those who enter it with its immensity as well as acoustics. Along the northern edge lies the monumental cemetery, Camposanto Monumentale, believed to be one of the most beautiful cemeteries in the world. Across the square sits the Museo delle Sinopie containing the sinopias, preparatory drawings, from the Camposanto. These are red ochre under drawings for frescoes, made with reddish, greenish or brownish earth colour with water. Behind the leaning tower is the small museum dell’Opera del Duomo which contains the statues and other works removed for safekeeping from the cathedral, among which the original Romanesque bronze doors and some originals sculptures of Nicola Pisano and Giovanni Pisano. Walking around town don’t forget that Pisa is a university town, so spend some time to admire the different architecture styles of the various faculties spread around the city. 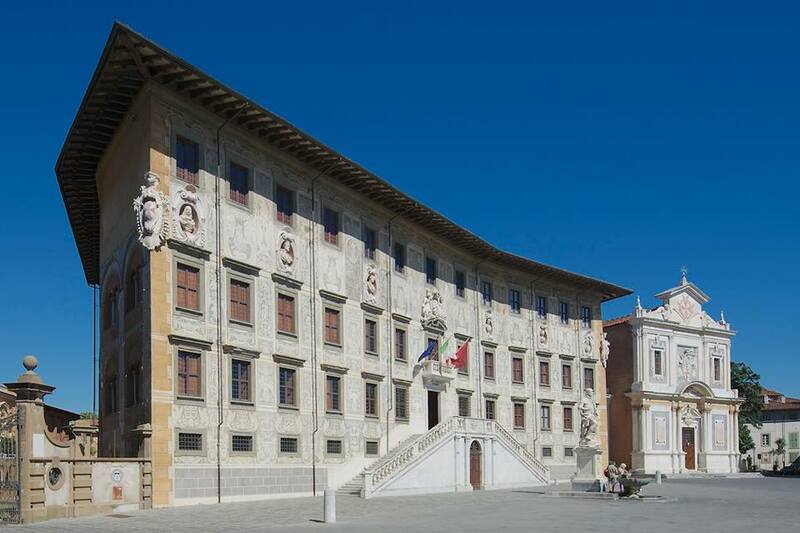 It also houses two academic élite institutions, mostly renowned for in the fields of research and education, the Scuola Superiore Sant’Anna and the Scuola Normale Superiore. The Scuola Normale is not far from Piazza dei Miracoli and is located in the magnificent Palazzo della Carovana in Piazza dei Cavalieri, the Knights’ Square. Built in 1562-1564 by Giorgio Vasari, who also personally designed the façade with a complex scheme of sgraffiti representing allegorical figures ad zodiacal signs, the building was originally intended as headquarters of the Knights of St. Stephen, thence the name of the square. Considered the second main square of town, it contains many buildings of interest amongst which the Palazzo dell’Orologio, the Clock Palace, with the infamous tower dei Gualandi of Dantesque reminiscence, the church of the Knights’ of St. Stephen, the Palazzo del Consiglio dei Dodici and the Palazzo del Collegio Puteano. A stroll under the arcades of the medieval quarter of Borgo Stretto leads to the banks of the river Arno, along which many other palazzos and churches can be admired. To the left the National Museum of San Matteo displays a collection of ecclesiastical works spanning from the early Middle Ages to the 1500s. 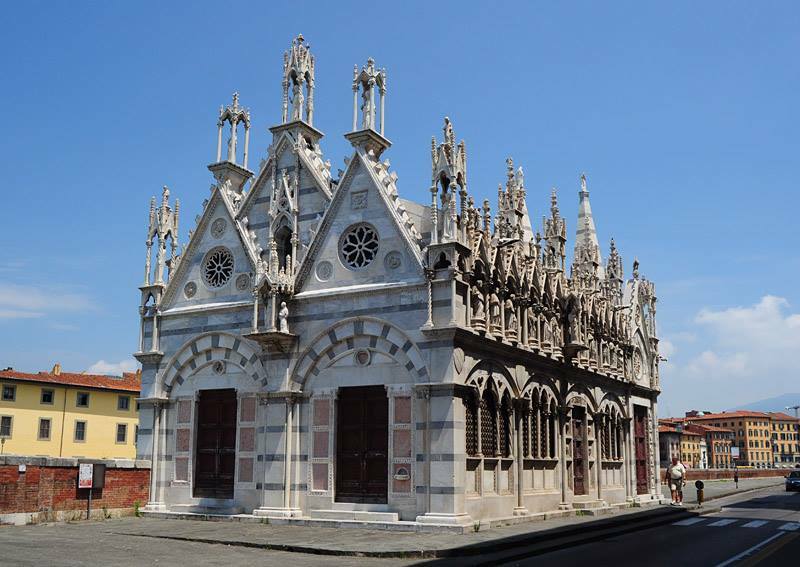 On the other bank, the tiny Gothic church of Santa Maria della Spina cannot be missed with its complicated sculpture decoration as well as the monumental church of San Paolo a Ripa d’Arno, founded around 952, with a green that offers shade and rest while wandering around town. Many more are the churches to visit and the sights to see. The Orto Botanico, for instance is Europe’s oldest university botanical garden being created in 1544. On Lungarno Fibonacci, at the end of Lungarno Galilei, is a fortress converted to public park, Giardino Scotto, which is open in summer for open air cinema, music shows and other events. On the other end of the Arno banks, Lungarno Simonelli, is La Cittadella, a fortress built to guard the access from the sea, once much closer, to the medieval town and shipyard. 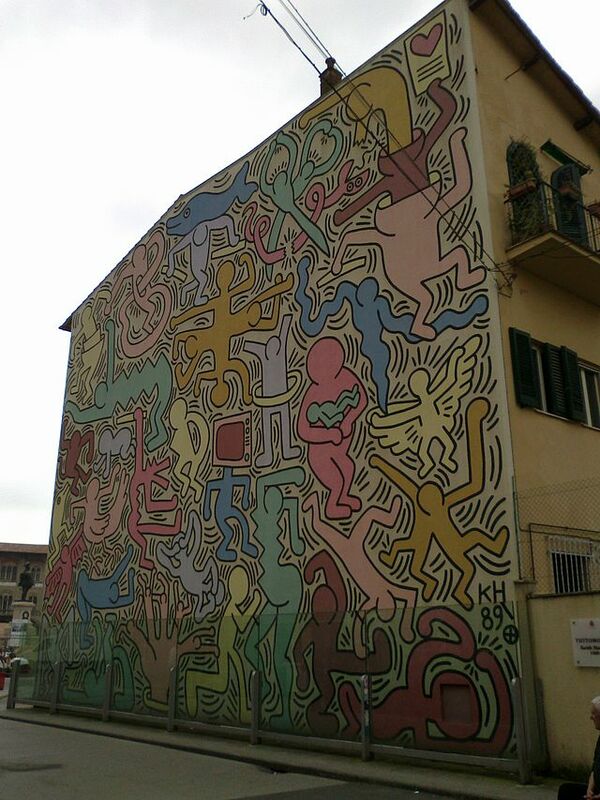 Last but not least, on the wall behind the convent of Sant’Antonio one can admire Keith Haring’s last public work, the mural Tuttomondo. 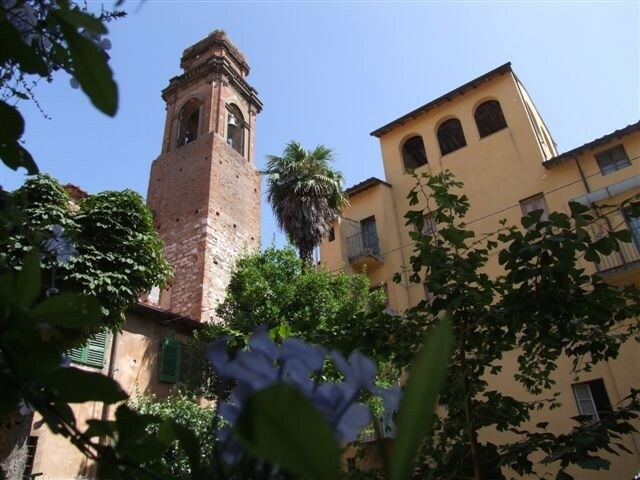 Pisa is a treasure trove to discover, for this reason we suggest to stay at least a couple of days, maybe in this lovely apartment very near Piazza dei Miracoli, situated on the ground floor of a former 17th-century monastery. Questa voce è stata pubblicata in Accommodations in Tuscany, Culture and accommodations in Tuscany, Photography, Tuscan lifestyle e contrassegnata con Borgo Stretto, Camposanto Monumentale, Chiesa dei Cavalieri di Santo Stefano, Giardino Scotto, Giorgio Vasari, Keith Haring, La Cittadella, Leaning Tower of Pisa, Museo delle Sinopie, Museo dell’Opera del Duomo, Museo Nazionale San Matteo, Orto Botanico, Palazzo del Collegio Puteano, Palazzo del Consiglio dei Dodici, Palazzo della Carovana, Palazzo dell’Orologio, Piazza dei Cavallieri, Piazza dei Miracoli, Pisa, San Michele degli Scalzi, San Paolo a Ripa d’Arno, Santa Maria della Spina, Scuola Normale Superiore, Scuola Superiore Sant’Anna, torre dei Gualandi, Tuttomondo. Contrassegna il permalink.